The Carlile Institute Business Centre is an important part of our project. It obviously contributes financially, but it is an important space for us as a fledgling community business to nurture links with industry professionals and learn from their business. The Business Centre has four offices, fully accessible, has super-fast broadband and a kitchen space to prepare food and drinks. Our office suite is currently fully let to Green Route Energy, Logisitcal Support and Pierrepont Accountants. 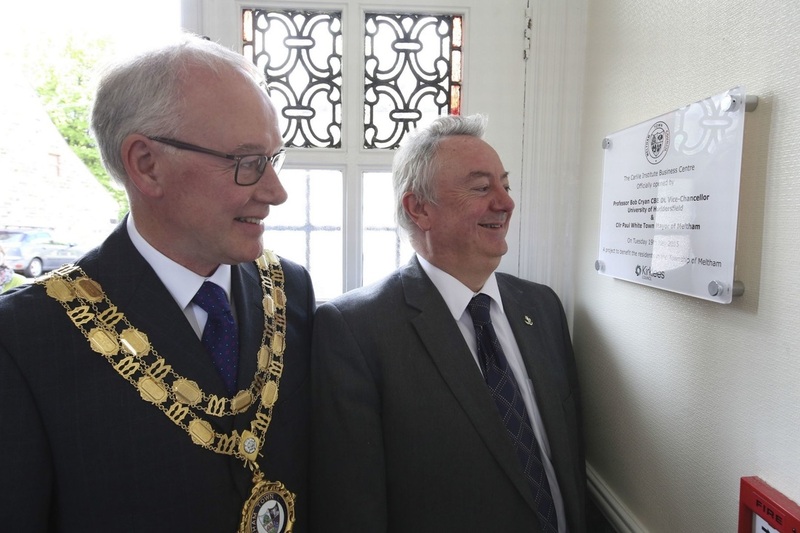 The Carlile Institute Business Centre was officially opened on 19th May 2015 by Professor Bob Cryan CBE DL, the Vice-Chancellor of the University of Huddersfield and the Town Mayor of Meltham, Clr Paul White.